Fuzhou Ritton Technology Co., Ltd. If you don&rsquo;t have it, please let me know, I can send you to the electronic version. 3. Q: What&rsquo;s the size of the wristbands9 A: It can be different size. 5. Q: What&rsquo;s the payment term9 A: We can accept for PayPal, Western Union, Money gram and T/T. wristband silicone bracelet Specifications : 1.FREE DESIGN & Artwork revise 2.FAST DELIVERY, no extra fee for rush order 3.100% guarantee quality 4.OEM/ODM Item Name customized silicon wristband debossed logo rubber bracelet festival silicone wristband Place Of Origin Guangzhou, China(Mainland) Material 100% silicone Size 210*12*2mm 202*12*2mm 190*12*2mm 180*12*2mm 160*12*2mm 150*12*2mm 210*5*2mm 202*5*2mm 180*5*2mm 210* 25* 2mm 202* 25* 2mm 180* 25* 2mm And can be customized silicone wristband size Color(PMS) Any color as per your requirement. Technology 1) Embossed text 2) Debossed text 3) Printed text 4) color filled 5) Debossed with filled color 6) Engrave Packing 500PCS/CTN,MEAS:30*25*23CM 1000PCS/CTN,MEAS:35*35*25CM 2000PCS/CTN,MEAS:46*36*32CM Types of Wristbands Mosquito repellent bracelets; Glow in dark; Engrave bracelet, UV; Solid color; Swirl color; Segmented; Striped (like rainbow); interlocking; 2 or 3 layers Design OEM or ODM designs available Usage Advertising, Promotion, fashion accessories Payment Paypal,T/T,Western Union Detailed Images Related Products Contact If you have more concerns or need more information,please feel free to contact us or send inquiry to us. Any of your inquiry or problem will be replied in 30mins. Jiangmen Meiteer Silicone Co., Ltd.
Now you even can use your chosen color for consistency along with your brand color or the event theme. Now you even can use your chosen color for consistency along with your brand color or the event theme. Now you even can use your chosen color for consistency along with your brand color or the event theme. We do not have any intellectual property rights over the trademarks displayed and are not selling any products containing this(these) marks. If you are interested in our products, Click here contact me without any hesitation . Q3: How many days do your designers need for the artwork9 A: Normally 1-3 days, we will start on after your confirmation. Yiwu Juguan Jewelry Co., Ltd.
etc and have exported to whole European Market, American, Middle-east, Oceania market and worldwide. More. 2.What type of information do I need to provide for you to create a design for me9 All we need is your logo, text, thoughts or ideas. 4. How fast can we get a price for custom item9 It takes 30 minutes to 1 hour to make a quotation for you. 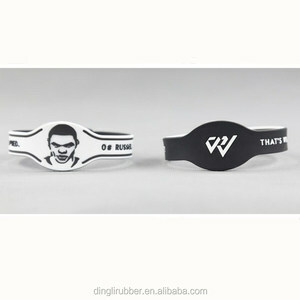 Alibaba.com offers 27,313 rubber wristband bracelets products. About 60% of these are bracelets & bangles, 12% are other gifts & crafts, and 1% are stainless steel jewelry. 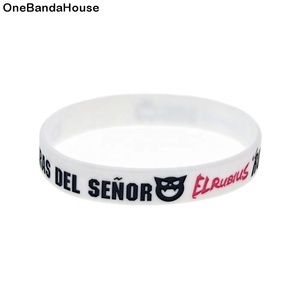 A wide variety of rubber wristband bracelets options are available to you, such as anniversary, gift. You can also choose from children's, unisex. As well as from bangles, beaded bracelets, and charm bracelets. And whether rubber wristband bracelets is silicone, stainless steel, or alloy. 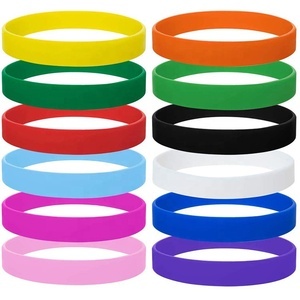 There are 27,349 rubber wristband bracelets suppliers, mainly located in Asia. The top supplying countries are China (Mainland), Taiwan, and Hong Kong, which supply 99%, 1%, and 1% of rubber wristband bracelets respectively. 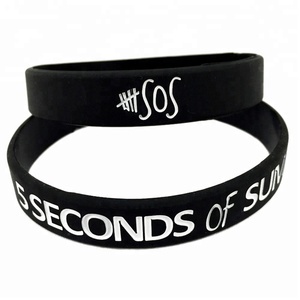 Rubber wristband bracelets products are most popular in North America, Western Europe, and Eastern Europe. You can ensure product safety by selecting from certified suppliers, including 6,668 with Other, 2,834 with ISO9001, and 492 with BSCI certification.